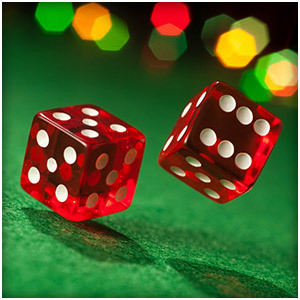 Just like any other online casino game, to be successful in Craps you need to fully understand the rules of the game. Of course, there are players who may be successful after taking a short glimpse at the table and try to win by imitating several players on the table. While this may work, it’s important to note that you will only be in it for the money. You will never enjoy a game of Craps until you know exactly what’s going on and why you are making the specific bet that you choose to make. With that in mind, let’s go straight to some of the important things that you should know when playing Craps. First, it’s important to know how to do the math when it comes to the possible outcomes when dice are rolled. What most people fail to realize is that each of the dice is treated as an individual entity. This is to mean that there are two possible ways of getting a total of 3. You can either have a 1 and a 2, or a 2 and a 1. With this in mind, you’ll realize that there are 3 ways you can get a total of 4, 4 ways of getting a total of 5, 5 ways of getting a total of 6 and 6ways of getting a total 7. From 7, the trend starts going down. There are 5 ways of getting an 8, 4 ways of getting a 9 and so on. With this in mind, 7 is the total that is most likely to appear on any dice roll. There are lots of bets you can make on the craps table. Once you know how to evaluate the odds of a certain outcome, you can be sure that you will not make any crappy bets on the Craps table. Once you know what your desired outcome is, and you verify that indeed there is a big chance of winning, then go ahead and bet. The other thing that you should look at is the house edge. Some bets have a higher house edge than others. A good example is the place bet that has an edge of 2.8% when compared to the come, pass and don’t pass that have only 1.4% house edge. You can test your craps skills at Golden Tiger Casino today!